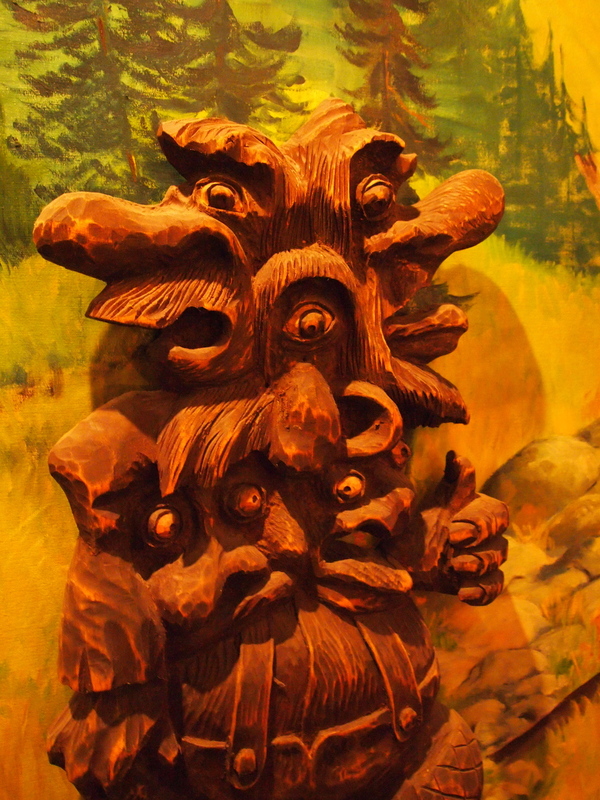 One of the many wood troll carvings at the Sons of Norway in Fargo, North Dakota. Since it has been reported by The Daily Mail that the Viking apocalypse — Ragnarok for those of us in the know — will happen this Saturday, February 22, I figured it doesn’t matter that the History Channel’s Vikings Season II premiers on February 27. I also figured that it would be appropriate to post three photos I took on Thorsdag evening at the Sons of Norway in downtown Fargo, North Dakota (pie day is every Thursday at lunch, too). 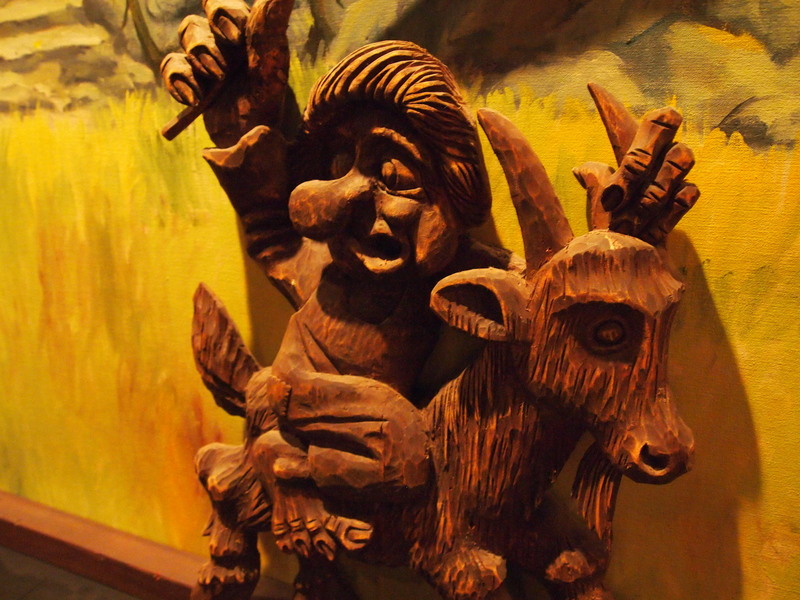 Within the Sons of Norway is the Troll Bar which, in turn, is decorated with several wood Norsk troll carvings that run the perimeter of the tavern. Trolls have increasingly interested me as of late. In genealogical e-mail conversations with Valerie Larson-Wolfe, a distant Swedish-American cousin of mine (who lives in Chico, California), she mentioned that our great-great-Swedish uncle August used to remark on how, as a young boy, he used to see trolls in and around his family’s farm near Ïvo in southern Sweden. As a historian, I am interested in this not necessarily to prove or disprove the existence of trolls. 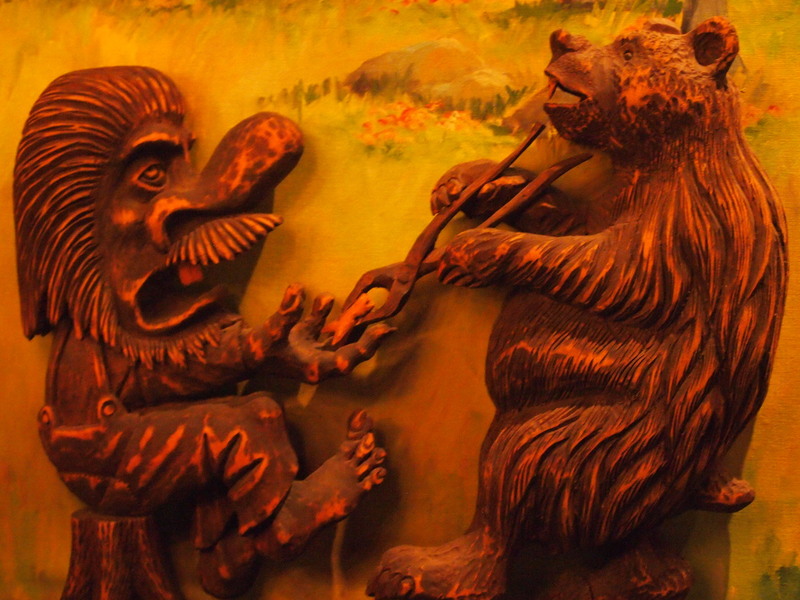 Rather, I’m interested in it in from the standpoint of a social historian or folklorist: if people say they are seeing trolls, they are doing this for social reasons that might not be clear to outsiders. I’m interested in unpacking those reasons. If you’re in Iceland, though, you get the privilege of having your Supreme Court decide on whether or not to protect known elf sites (links on that here, here and here). This, in turn, has gotten me thinking a bit more about sightings of small people in world history. On the northern Great Plains, it isn’t uncommon to hear stories from Mandan-Hidatsa or the Oceti Sakowin oyate of small people sightings. These sightings are amazingly important to particular cultures — much in the same way that the notions of a man walking on water or rising from the dead three days after the Roman Empire executed him are amazingly important to particular cultures too (yes, I just went there). Happy ragnarok weekend everyone. See you all on the other side (or on Monday). This entry was posted on Friday, February 21st, 2014 at 4:02 pm	and tagged with Elves, Fargo, Iceland, Kringen Lodge, Larson Family, Norway, Scandinavia, Sons of Norway, Sweden, Valerie Larson-Wolfe, Vivian Barth and posted in Uncategorized. You can follow any responses to this entry through the RSS 2.0 feed.